Around Philthy Rich, Gucci Mane & Yhung T.O. Hood Rich OJ Da Juiceman, Gucci Mane & Yung L.A. Knock Em Down (feat. 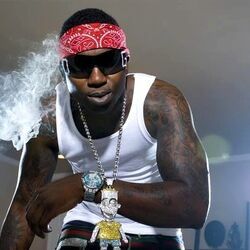 Gucci Mane & Bobby V.) Kafani, Gucci Mane & Bobby V.
Plain Jane (Feat. T.I.) Rocko, Gucci Mane & T.I. Discover more playlists and music by Gucci Mane on PLAYLISTED. Like Bacc At It Again, BiPolar (feat. Quavo), With You and Spendin' (feat. Gucci Mane).